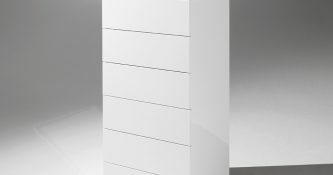 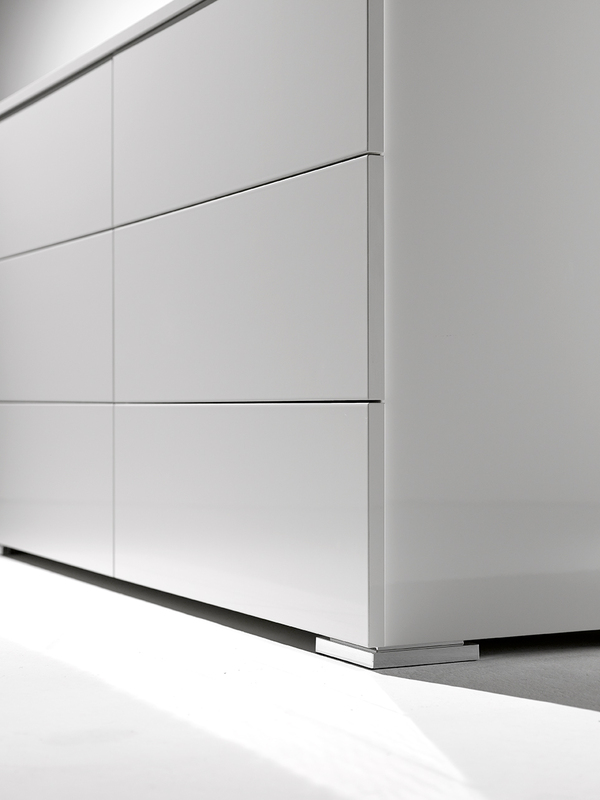 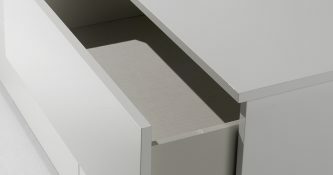 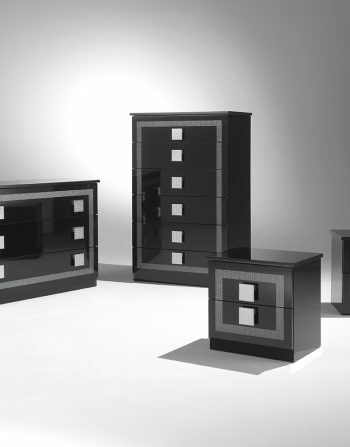 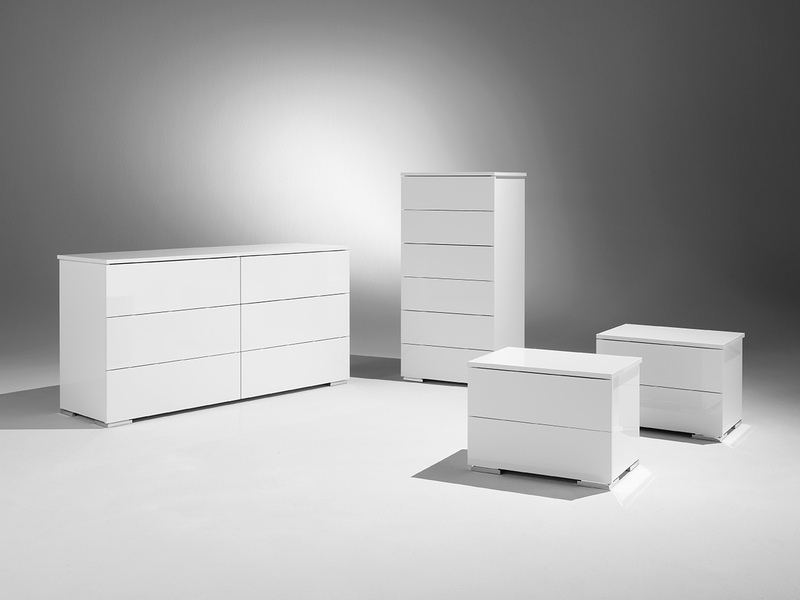 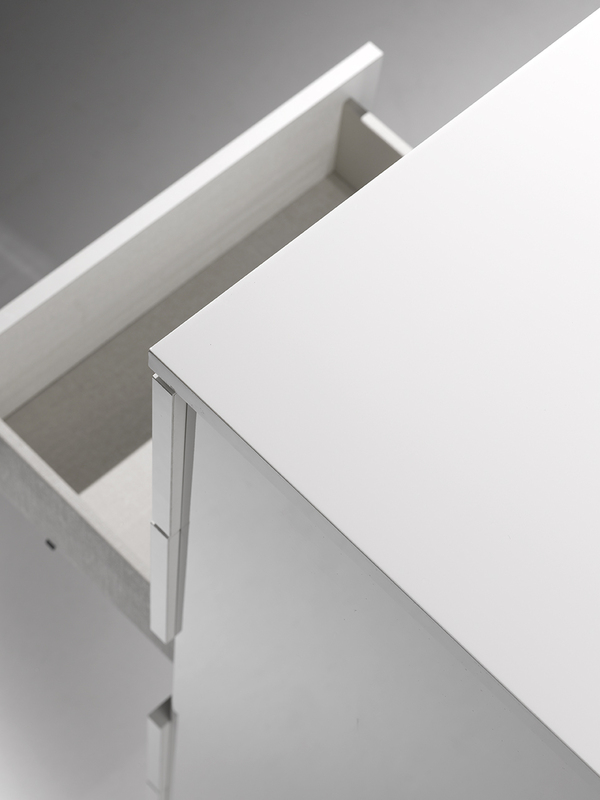 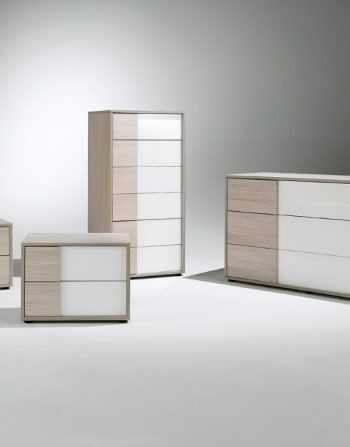 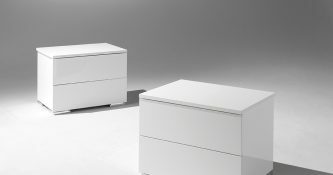 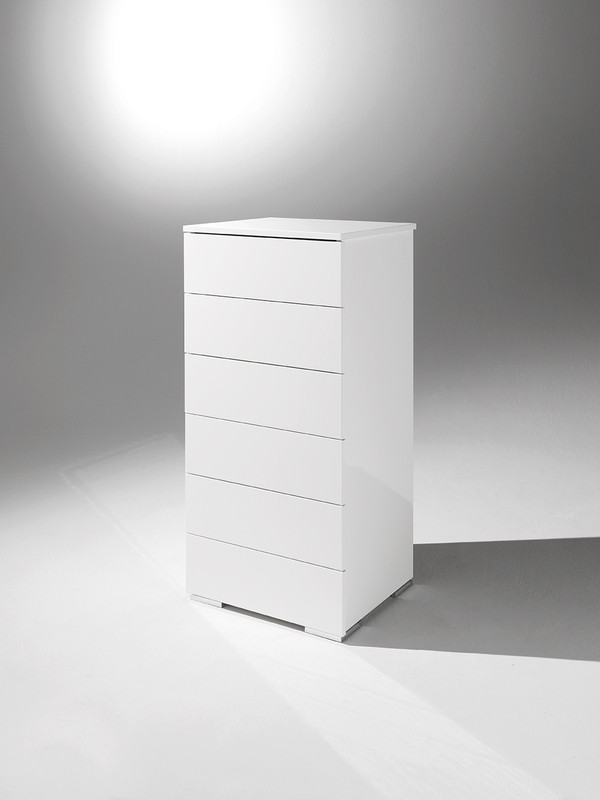 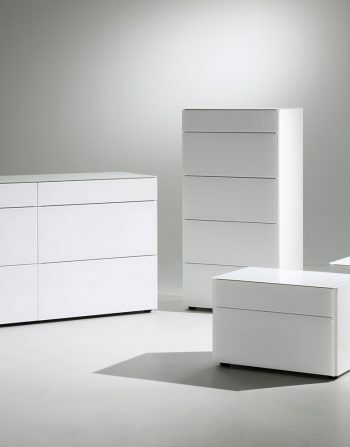 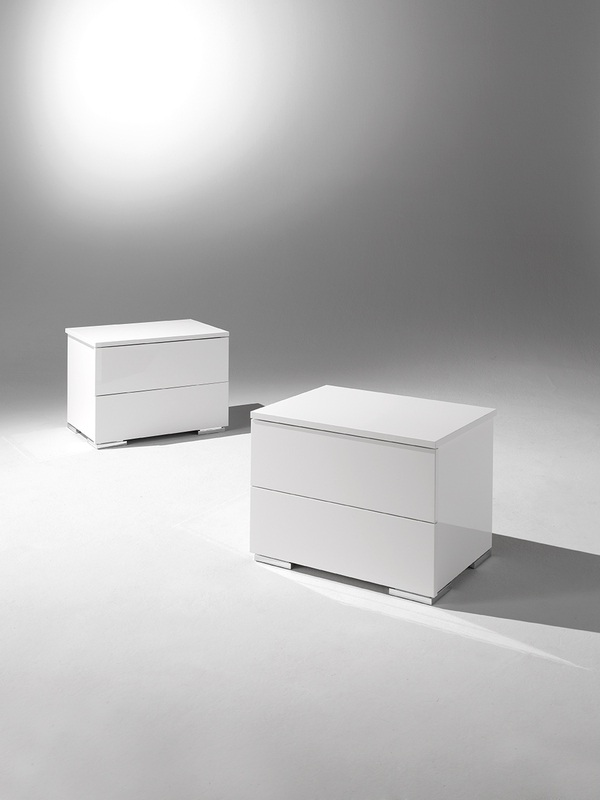 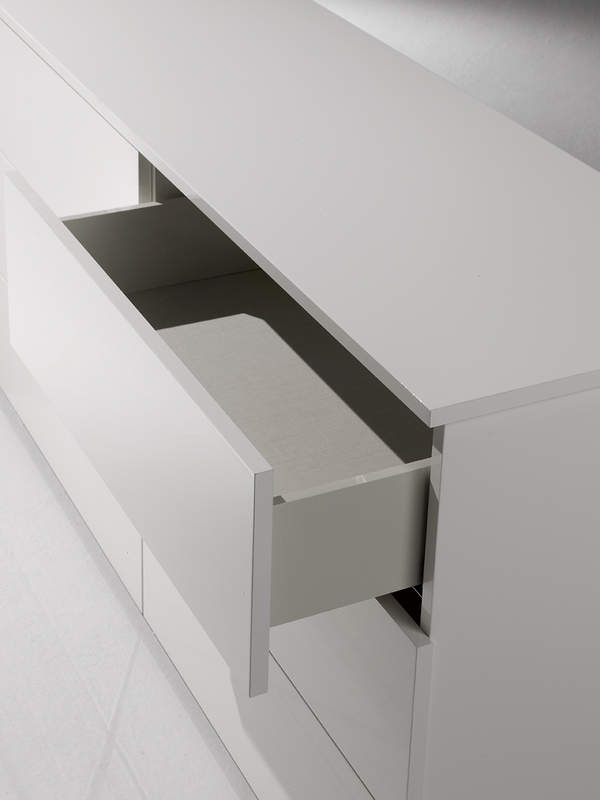 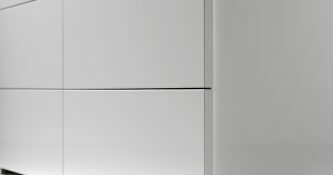 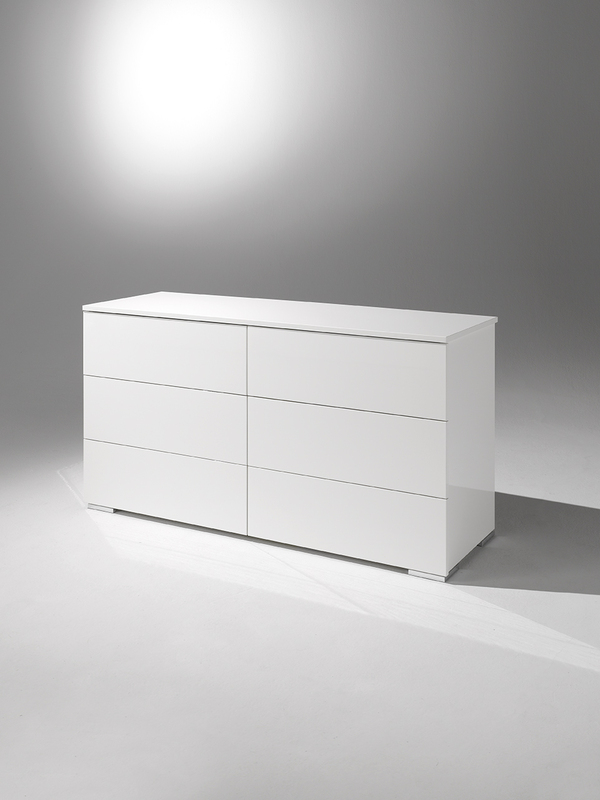 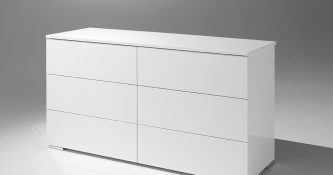 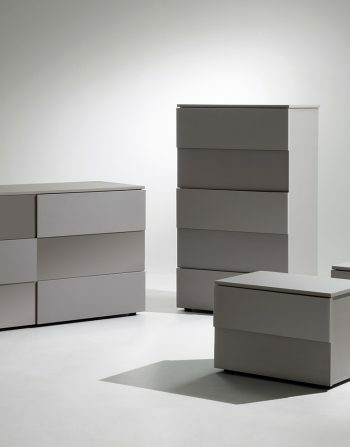 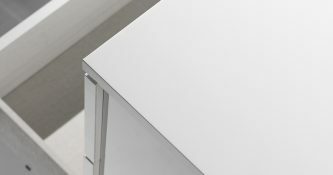 High Gloss Lacquer and Chromed legs with self closing mechanism drawers. 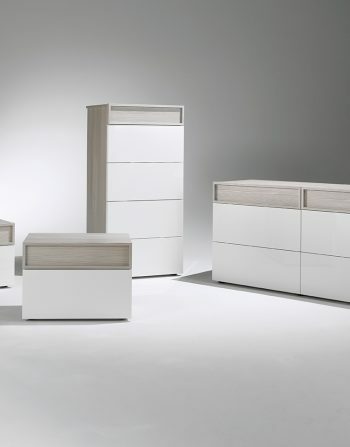 This Collection is made for easy living transitions with the help of efficient and modern design. 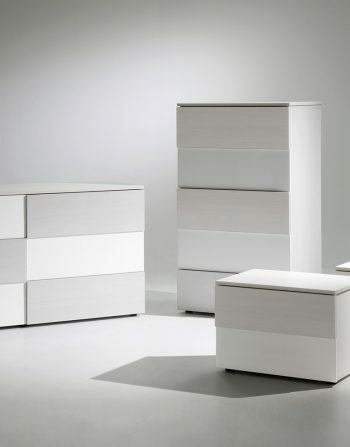 Optimize your space while basking in the chic minimalism.